If you live and breathe birds, you’ll flock to Mustang Island Texas for your next Port Aransas birding vacation. In the heart of the number-one birding state, more birds hang out here than anywhere else in Texas. Located in the Central Flyway, the island boasts hundreds of species as permanent residents and thousands of migrating birds that consider it a perfect stop. In her book, Birding Corpus Christi and the Coastal Bend, Jamie Ritter lists information on and directions to 78 different birding sites in the Coastal Bend Area which includes Port Aransas and the Sandpiper Beachfront Resort. This book is a wonderful resource for those serious about birding and is available at most bookstores. 1. The Leonabelle Turnbull Birding Center in Port Aransas overlooks the ship channel. Weekly guided birding tours are offered free of charge on Wednesdays at 9:00 am. 2. The Port Aransas Nature Preserve will provide over 2 miles of hike and bike trails within the park. Amenities include the Pavilion, boardwalks over algal flats, crushed granite trails on the uplands, covered seating sites and a tower overlooking wetland areas around Salt Island. 3. The Joan and Scott Holt Paradise Pond a 2-acre habitat which was the creation of a group of birders who won the Great Texas Birding Classic who applied the prize money for the purchase of land. Paradise Pond is a stop on the spring migratory route for smaller warblers and other songbirds, while many feathered friends call the pond home all year long. The wheelchair accessible boardwalk and 3 observation decks provide easy access to allow Port Aransas birding enthusiasts to get “up close and personal” with the birds under a mantle of trees. 4. Port Aransas’ Wetland Park which was built by the Texas Highway Department and deeded to the city of Port Aransas. It has a raised wheelchair accessible boardwalk that leads to a gazebo overlooking the tidal flats, home to many water birds and cranes. 5. 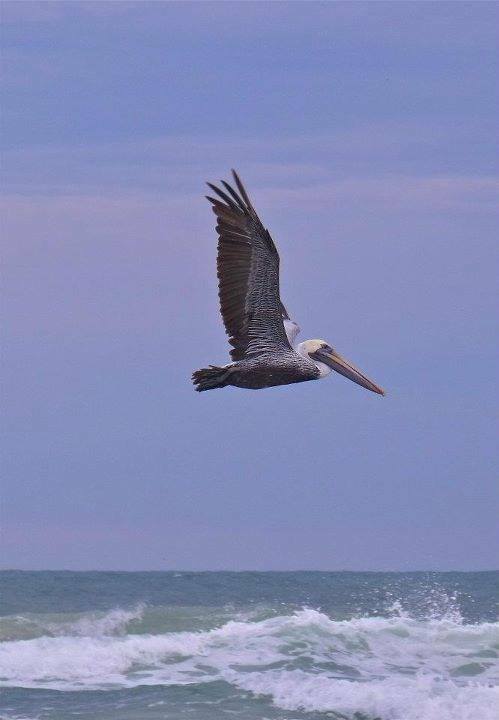 Coastal Bend Audubon Society owns and operates the North Bay Sanctuary which is a 75-acre wildlife sanctuary located in San Patricio County. The sanctuary supports a wide array of south Texas wildlife. The combination of aquatic habitats, grasslands, and brushy areas makes the sanctuary a haven for a diversity of bird species year-round. Since the property was acquired it has been managed for the recovery of Tamaulipan thorn scrub brush and native grass communities. There are several maintained trails and an elevated viewing platform that gives an “above-the-brush” view of the property. A 12-foot viewing tower can accommodate 15 people, allowing Port Aransas birding enthusiasts to check out the new prairie wetland project and to look across the fence at the larger wetlands containing an occasional cattle egret or neotropical cormorant rookery. The Society conducts meetings and field trips, information can be obtained at the North Bay Sanctuary. 6. The Coastal Bend Bays & Estuaries Program is a local non-profit 501(c)(3) organization established in 1999. The CBBEP project area encompasses the 12 counties of the Coastal Bend Council of Governments extending from the land cut in the Laguna Madre, through the Corpus Christi Bay system, and north to the Aransas National Wildlife Refuge. The mission of the CBBEP is the implementation of the Coastal Bend Bays Plan, which is to protect and restore the health and productivity of the bays and estuaries while supporting continued economic growth and public use of the bays. The Estuaries Program promotes kids programs for birding and shell collecting and identifying. 7. The Aransas National Wildlife Refuge is one of over 545 National Wildlife Refuges. It was originally established by President Franklin D. Roosevelt in 1937 as a refuge and breeding ground for migratory birds and other wildlife. The Refuge Complex is comprised of over 115,000 acres including the Blackjack Peninsula (Aransas proper), Matagorda Island, Myrtle Foester Whitmire, Tatton, and Lamar units. These areas provide vital resting, feeding, wintering, and nesting grounds for migratory birds and native Texas wildlife. 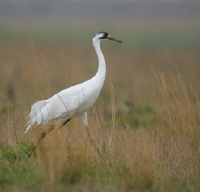 The Refuge is world renowned for hosting the largest wild flock of endangered whooping cranes each winter. Other native species you can see on the Refuge include the American alligator, javelina, roseate spoonbill, white-tailed deer, armadillo, and spectacular wildflowers. Port Aransas birding enthusiasts are invited to attend the various events the Refuge has going on throughout the year. If you have any questions please contact us. Weekend Van Tours – 10:00 a.m. & 1:00 p.m. Call for reservations. School Group Environmental Ed. – Matagorda Is.